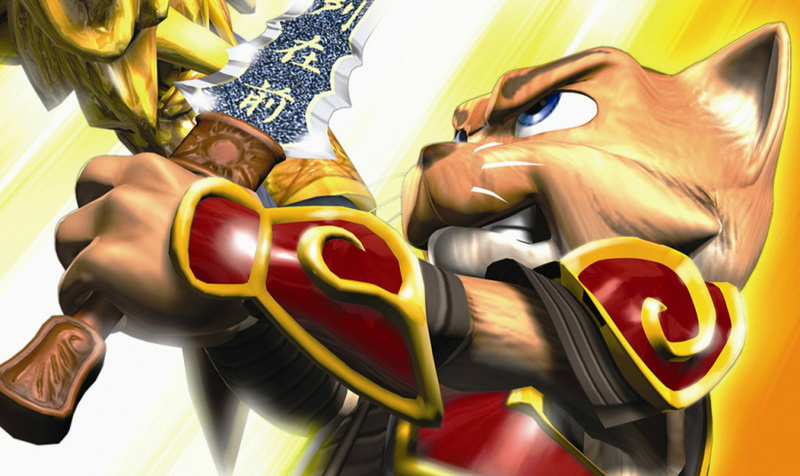 Hands up if you saw this coming - 2005 PS2 title Legend of Kay is coming to the Wii U as a remastered retail release. Developed by Neon Games and originally published on Sony's console by JoWood Productions in Europe and Capcom in North America, this action title features talking animals fighting over the future of the land of Yenching. Something of a cult classic in Europe, Legend of Kay would be ported to the Nintendo DS in 2010 by Firehazard Studio. 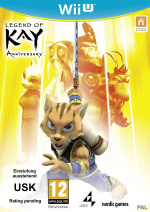 Although Nordic Games has yet to officially confirm Legend Of Kay Anniversary - which is also coming to PC and Mac - Amazon has given it a release date of June 12th, as well as showing off the cover. Quite why Nordic Games is choosing to resurrect this game for a Wii U retail release is anyone's guess, but it's nice to have another third-party title on the horizon, we suppose. Of course the real magic would somehow be wresting Dark Cloud/Dark Chronicle/Rogue Galaxy away from Sony and getting HD versions on the Wii U (with Georama touchscreen support). I'd buy that in a heartbeat. Wow! Couldn´t agree more. That would be a dream. Cool, cool. If this is a good remaster, with decent gamepad application, I will buy it. Having not played the original version I don't know if this game is good or not but heck, more games is always welcome and if it does end up being good then I may give it a try! Hope it turns out better than the DS port! Definitely unexpected,us Wii U owners aren't used to news like this.I think I might need to go for a lie down.Just a shame it seems to be a pretty average game,even back in the day. Huh, never heard of this game before. Then again there's so many "Legend of" games maybe I just forgot it. I suppose you have to ask where the audience is for this sort of game. It's not really on the PS4, and it's definitely not on the XB1, so that's why were getting it because we play games with more cartoon art. Hopefully it won't be terrible. That box art just brought back a memory of a game I used to have on the Dreamcast and had completely forgotten about until now.Fur Fighters.Fantastic game! Wish that was coming instead of this! This, but no Beyond Good & Evil HD port for Wii U? I know, different company and I did not even know about this title, but I just want to play Beyond Good & Evil on the Wii U. Let's hope 'remastered' means graphical overhaul to a standard acceptable today, WiiU pad functionality, online feature and not just a straight port of a 2005 game who's graphics are 10yrs out of date even if it is cult classic. I was hoping for the port of Legend of Kay Oh Are Are Ah! by Platinum. Sounds like something I'd buy! (Hopefully it's the ps2 version. )Then it would be a hidden gem. They don't have much to fix. @EllenJMiller I'd looooove to see Dark Cloud on Wii U haha. Wasn't that Level 5? Very odd... I remember seeing the PS2 game in stores. But was it really that good? Looks interesting & box art alone is making me want to buy. But think I'm going to wait for reviews after what happened with Sonic Boom Wii U. Not really seen or heard much about it. Seems it was a e-shop title on other consoles? No idea what Legend of Kay is. Still, if it's good I'll check it out. A PS2 game getting remade on Wii U and NOT PS4? This IS a pleasant surprise. It'll likely be ported if any of this pans out. Nordic Games has a better chance for sales on the PS4 and XBO. Still, if Nordic Games actually confirms this, it's good news, and indeed, totally unexpected. Wow totally didn't expect this. Is this the big remaster for WiiU? Unexpected, hope it's good! Who is Kay?Oh this is so weird. Hopefully it will also make it to North America. Whoa. Good god, i think i should sit down. Revolutin has come! This is a game I wanted to buy, but IIRC there was some irritating problem (voices, I think?) that kept me away. If they fix it, I'll give it a shot finally. This is crazy! I JUST sold my ps2 copy last week! I played about a half hour, liked the look of it and all but I just needed to get rid of my ps2 and games as I'm never gonna Ger around to play them with the WiiU and 3ds and one or two games for the ps4 in my backlog. But! I hope this is true and is a proper remake not just an upres like ps3 games were. Will buy in a heart beat if it is! @turnmebackwards It's actually available on the Eshop now and has been for ages,I got it a couple of weeks ago for 6 quid.Not got round to playing it yet but it's supposed to be really good.The dev explained here before why he was releasing it at retail but I can't remember his reasons. Unexpected indeed. But if it's a decent HD version, why not? Better come to NA, the PS2 original was awesome. Yes, that was indeed unexpected. I'd definitely recommend this to people to get. Hope it isn't just a graphical upscaling, though. You just missed an excellent sale on the game in the eShop. It's normally $15/€15, but it was $5.99/€ 5.99 in the eShop in the middle of last month. Unless you strongly prefer retail, I'd get the digital version, or even consider waiting a few months for another sale if you're not in any big hurry. The actual publisher, Nordic Games, acquired this and other titles from the original publisher, JoWooD Entertainment but they acquired THQ too, which had many more attractive IPs like De Blob, Red Faction and Deadly Creatures. I wonder if they will work on these games... A more polished Deadly Creatures, with realistic HD graphics would be great! @andreoni79 I want this all to happen please! @andreoni79 That, would be amazing. Now I must hope that dark cloud 2 (also known as dark chronicle) will come to wii u.
I guess anything released at the retail level for wii u is a good thing! I do like a good platformer so let's hope North America is not denied the title like so many others in retail and vc as well!! @andreoni79 If I hadn't already beaten Deadly Creatures on Wii I would certainly buy it with more realistic graphics. Pretty cool game (if someone wants a number: 7/10). I don't know anything about Legend of Kay but if it turns out good I'll be happy to buy it. The DS version isn't that good. @TruenoGT Timesplitters on the Wii U would be game play heaven! ZOMG WHY HAVEN'T I HEARD OF THIS GAME BEFORE!? I must have it. I need it. TimeSplitters 2 in HD on WiiU would be a dream come true. It's one of my top 5 games of all time. Sly Cooper on Wii U confirmed. If it gets good reviews I wouldn't mind getting it. Well, well, a new Wii u third-party title...AT RETAIL?! Craziness!! But seriously, I might get it. Never played it before. By the way: Wasn't Nordic Games the company that bought the Darksiders franchise? Maybe Darksiders 2 did sell good enough on Wii u after all? Cool... I will buy it if the porting to Wii U is done well. This game does look familiar, I believe I saw someone playing it once, but if you had mentioned the name of the game to me I'd have never been able to tell you what it was. All that said, the game does look pretty fun, so this rumour is true and it comes out as a physical release for Wii U, I may see about getting it. If it comes out when it says it will, that is okay timing. I'll likely still be busy with Splatoon and Hatsune Miku: Project Mirai DX, but I can purchase it and save it to play around July or August. I'm impressed. A 3rd person action adventure game with a story exclusive to Wii U now with a price tag at Amazon of only $25! If this gets upscaled graphics and some gamepad support it will be awesome! Now we really need all the Darksiders on Wii U. Come on Nordic!